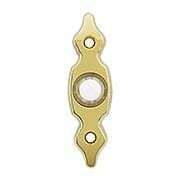 You'll love the rustic simplicity of this hand-forged iron door buzzer button! Its pleasing "bean" shape and rough-hewn texture is compatible with homes of many styles, from Early American to English Tudor. Its surface is phosphate treated then lacquered, for rust-resistant, long-lasting wear. 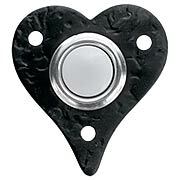 This charming, hand-forged iron door buzzer button features an inverted heart-shaped back plate. 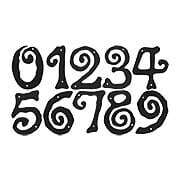 Its folk-art feel is suited for Colonial, Romantic, Western and Pennsylvania Dutch homes. The surface is phosphate treated then lacquered, for rust-resistant, long-lasting wear. 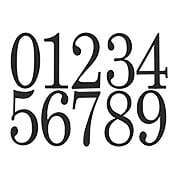 With a hammered surface and matte-black finish, our Italic House Numbers offer nostalgic flair to your facade. 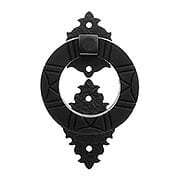 Made of cast aluminum, their surface is phosphate treated then lacquered, for rust-resistant, long-lasting wear. 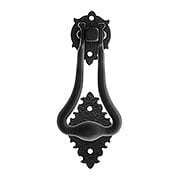 Ideal for Colonial, Romantic, or Arts & Crafts style homes. 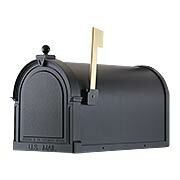 The Classic Cast-Aluminum Horizontal Mailbox is designed to last a lifetime. 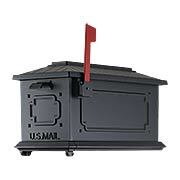 Heavy-duty cast-aluminum construction promises a rust and maintenance-free life, while the powder coating offers chip proof, fade-resistant color. 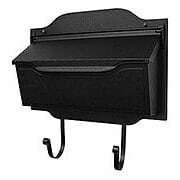 It features a magazine rack and your choice of four classic finish options. 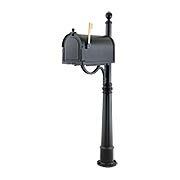 The Classic Cast-Aluminum Vertical Mailbox is designed to last a lifetime. Heavy-duty cast-aluminum construction promises a rust and maintenance-free life, while the powder coating offers chip proof, fade-resistant color. 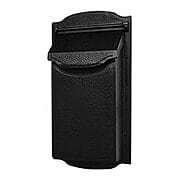 It features a magazine rack and your choice of four classic finish options. 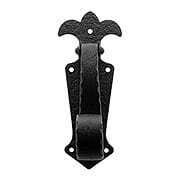 This flag holder is made of heavy duty cast iron and fits a 1" diameter flag pole. 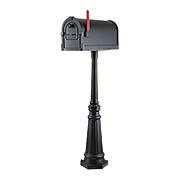 The holder is surface mounted and the base measures 4 3/8" tall by 2" wide. This holder has two positions to hold the pole at either 45 degrees or a little above horizontal. 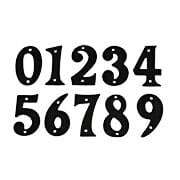 These nostalgic house numbers have a slightly roughened surface texture and matte black finish. 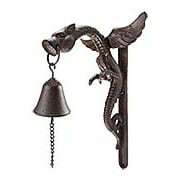 Their hand-crafted character makes them a popular choice for Colonial, Romantic or Arts & Crafts style homes. 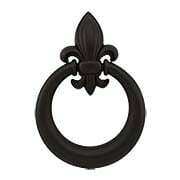 Made of cast iron, zinc plated and finished with a rust-resistant powder coat. 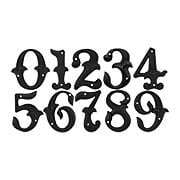 Available in numbers 0 - 9, measuring 2 3/4" in height on average. Paying tribute to the iconic symbol of the French monarchy, the Dauphin Collection adds a decorative touch to your entry. 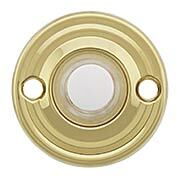 Made of solid brass, this simple design features a lighted button for enhanced visibility and your choice of two classic finishes. 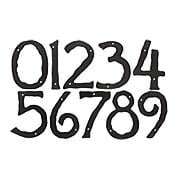 The hand-crafted quality of our Hammered Surface House Numbers make them a popular choice for Arts & Crafts, Romantic, or Colonial style homes. 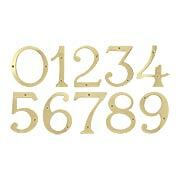 These durable outdoor accents feature indented markings highlighted with a rich bronze finish. 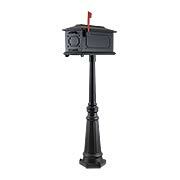 The lacquer coating resists harsh weather, while the 5" height makes them clearly readable, even from a distance. The Traditionalist Collection delivers a classic, yet refined look to your entry. Designed in a classic font, these fashionable house numbers feature a black lacquered finish for long lasting wear. 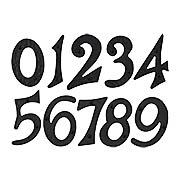 The 6" size makes them clearly readable, even from a distance. 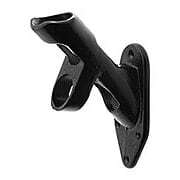 Can be mounted flush against the wall, or raised 5/8" for a shadow effect. Comes complete with mounting screws and risers. 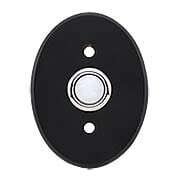 Our Hartford Doorbell offers a simple design and traditional silhouette. 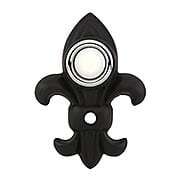 Made of solid brass, it features smooth edges and a lighted button for enhanced visibility. Available in an array of popular finish options, it welcomes your guests in classic style. 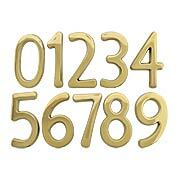 Crafted from top-quality cast brass, our 4" House Numbers are as durable as they are attractive. 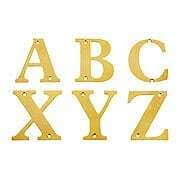 Designed in a no-frills font, they come in an array of finish options, a tasteful choice for homes of every style.